Are you looking for a truly unique, truly romantic babymoon destination? 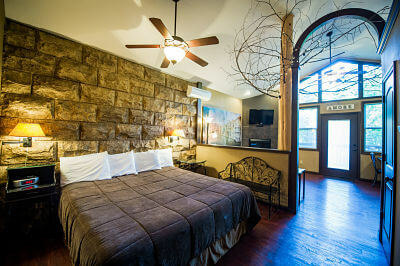 Then look no further than Eureka Springs Treehouses, Caves and Castles! Described by guests as a 'romantic Disneyland', this lodging is quite unlike anywhere you will have stayed before. The themed treehouses are set on cedar logs. You can choose from various 'destinations' for your treehouse, including Venice, Paris and Central Park, with the decor in keeping with your chosen destination. And it's not just treehouses... there are also romantic 'Hobbit caves' available, plus magical 'castles', helping you escape from everyday life in every possible way! Bottle of cider, surrounded by baby-themed decorations. Experience unsurpassed service and comfortable luxury at this rustic Bed and Breakfast inn. Located just 10 minutes from the Historic Downtown area and Hot Springs National Park, the beautiful wooded hillside setting allows you to truly unwind and relax. 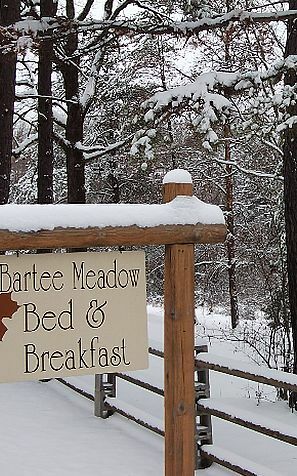 Breakfast at Bartee Meadow is unforgettable, with menu items including Orange Pecan Stuffed French Toast, Peach and Almond Muffins, Creole Cheddar Grits and Grillades and Ginger Pancakes With Lemon Custard Sauce. The innkeepers invite you to enjoy some relaxation and pampering before the arrival of your new baby. The lakefront location of this stunning boutique hotel makes it the perfect venue for your romantic babymoon vacation. 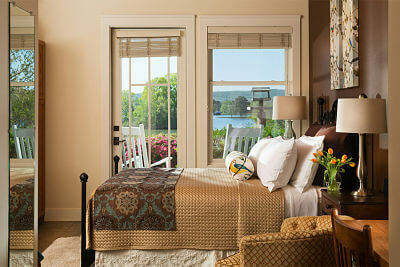 Enjoy breathtaking views of the surrounding mountains and Lake Hamilton, whilst staff attend to your every need. The emphasis at the inn is on relaxation, pampering and luxury - just what you need to truly 'get away from it all' and spend valuable time together before the arrival of your new addition. Enhancements, such as chocolate covered strawberries, spa baskets and private cruises. A variety of romance packages with extras such as long-stemmed roses; cheese, cracker and fruit plates; dining certificates and more.